Microsoft announced “important changes for customers buying enterprise software and cloud services in British pound [sic]” in a blog post yesterday. However, private individuals buying MS products will not be affected as these pricing changes will not apply to consumer software or consumer cloud services. Furthermore, these changes will not affect business customers existing orders under annuity volume licensing agreements for products that are subject to price protection. This price increase for business customers follows the nosedive in the value of sterling since Britons voted to leave the EU back in June. With effect from 1st January 2017, Redmond will be increasing prices for its enterprise software by 13% and 22% for enterprise cloud services “to realign close to Euro level“. For cost-conscious businesses and public sector organisations, this could provide the stimulus they need for migrating to free and open source equivalents of MS’ products. 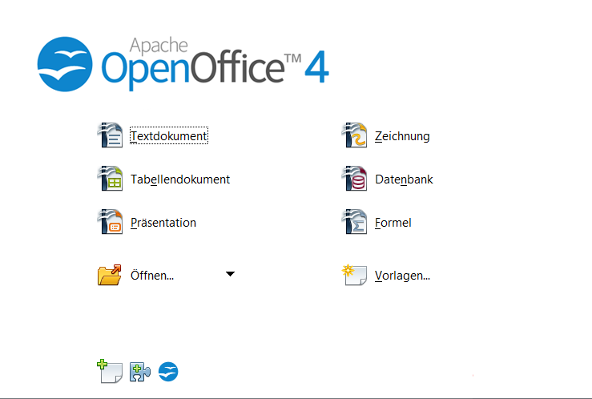 For example, why pay through the nose for MS Office when the excellent LibreOffice does exactly the same job and doesn’t lumber the organisation with vendor lock-in. Why not think about it? A report (PDF) produced by Opendata France and sent to Axelle Lemaire, the Secretary of State for Digital Affairs and the Secretary of State for Local Authorities reveals that the use of open data in average size towns is still far from being widespread, today’s Le Monde Informatique reports. Bringing together the local authorities committed to opening up data, Opendata France sent a report to Secretaries of State Axelle Lemaire (in charge of Digital Affairs and innovation) and Estelle Grelier (in charge of Local Authorities) on the occasion of a meeting in Rodez on 17 October with local elected representatives and business managers. Requested last July in order to evaluate the open data situation in local authorities in advance of the promulgation of the Digital Republic Act on 7th October, this report does indeed describe progress, but also reveals failures. Consequently Opendata France is making recommendations to improve the situation. Opening up data is a tool for improving local services, as well as an exercise in democratic transparency. In this way several innovative services have been showcased: optimisation of urban travel for the disabled, accurate zoning and state aid to facilitate the location of businesses, etc. The 3,800 or so local authorities with more than 3,500 residents are being targeted by obligations to open up data. Logically enough the largest ones are ahead of the smaller authorities with more limited resources. However, for the report’s authors, it’s a matter of showing more willingness by defining a “common base” for data to be opened up as priority (budgets, election results, local plans, etc.). In addition, a standardisation of formats would make using data easier. Improving the training of elected representatives and is also required, particularly by creating teaching tools and using them in the usual training sessions for elected officials. On the technical tools side Opendata France is calling for APIs for accessing national datasets so local authorities can extract what concerns them to make the data available. The government has announced it is preparing to implement these recommendations with a trial between now and the end of the year. The strangest occurrences could affect the running of networks. For instance, part of Bristol Wireless’ own network was once knocked out of action by a squirrel trying to store nuts for the winter inside a piece of our hardware. However, it’s not just small operators like ourselves that run this risk as big boys Virgin found out this week in Shropshire. 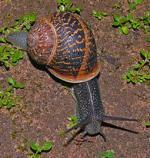 An invasion of snails caused a fire in a Virgin Media broadband cabinet in Baldwin Webb Avenue in the Donnington area of Telford, yesterday’s Shropshire Star reports. A small number of snails found their way into the cabinet’s battery where they were electrocuted and caused a small fire with smoke issuing from the cabinet. The latter prompted passers-by to call the local fire brigade who attended from Wellington Fire Station at about 12.33 p.m. on Wednesday and left the scene about half an hour later. A number of homes in the area were reported to be experiencing problems with internet access and TV services on the same afternoon, but these are now believed to have been resolved. After 4 very happy years at Windmill Hill City Farm, Bristol Wireless has moved. Our move has taken us from south of the River Avon in Bedminster back to Easton where Bristol Wireless started over 14 years ago as an idea in the minds of some under-employed local techies. More than that we’ve moved into Easton Community Centre, which was our very first home in those dim distant days. At that time we were also running the IT training suite at the centre. 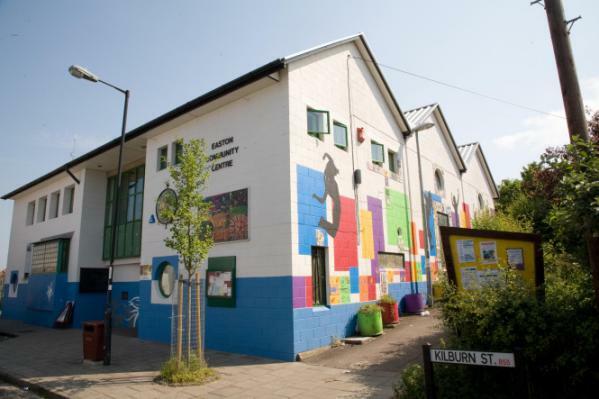 Easton Community Centre – our original and current home. We’ve updated our Contact Us page to enable you to find and get in contact with us easily. We’re looking forward to settling quickly into our new base. Finally, we’d like express our sincere thanks to Steve Sayers and all the staff at Windmill Hill City Farm for making our 4 years there so enjoyable. German IT news website heise and our old friends The Register are joint sponsors of the Building IoT London event to be held in March 2017. The former reported at the end of last week that software developers doing professional work on the Internet of Things have until 7th October to suggest proposals for presentations and workshops. The inaugural Building IoT London conference is taking place from 27th to 29th March 2017 in London. The conference, which is being organised by El Reg and heise Developer is devoted to the implementation of the fundamentals required for IoT projects, security concerns and other technical matters. Furthermore, experts from the field of networked projects will have the opportunity to share their experiences with others and gain new incentives for their own work from interacting with like-minded people. Software developers and project managers working on products on the context of the IoT are therefore invited to send proposals for presentations (either 45 or 75 minutes) and whole-day workshops (7 hours) by 7th October. Possible topics would include protocols and standards, the connection between Big Data and IoT, architecture and tests for complex IoT systems, connectivity and prototyping, as well as the potential vulnerabilities of IoT products. In addition, reports of experiences are being sought from current projects, on the use of IoT cloud platforms, the interaction of tools in the various processes or the conversion of conventional products into networked devices. People who are interested in the progress of the conference’s organisation can following the organisers on Twitter or sign up to their newsletter. Earlier this week the Northampton Chronicle reported that businesses in the town could be line for faster broadband. In the early noughties, Yorkshire-based Kingston Communications (formerly the city of Hull’s Telephone Department – the only non-nationalised part of the UK telephone network – and now renamed the KCOM Group. Ed.) laid several kilometres of fibre-optic cable around Northampton. London-based City Fibre has now acquired the dormant 45 km network and wants to roll 1 Gbps speed broadband out to local businesses. City Fibre has already launched similar schemes in Glasgow, Edinburgh, Milton Keynes and elsewhere. 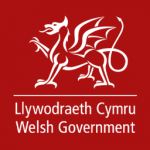 The Welsh Government in Cardiff Bay has announced new plans to improve children’s IT skills, today’s Wales Online reports. All aspects of the curriculum for Welsh schoolchildren will include digital skills for the first time this term to prepare pupils better for life, with such skills not being confined solely to information and communications technology (ICT) or computer science classes. Following 2 independent reviews whose recommendation was the improved delivery of key skills, the Welsh Government’s Digital Competence Framework (DCF) is now available to all schools. The DCF is designed for all children, including those with additional learning needs. Echoing the minister’s remarks, Owen Hathway, policy officer for the NUT Cymru trade union, said ensuring pupils leave school with proficient digital skills was critical. Education in Wales in a devolved matter and is not controlled from Whitehall. A free, innovative educational app to teach children about the lifecycle and habitats of tadpoles has been developed and launched by computer science students the University of Bristol reports. 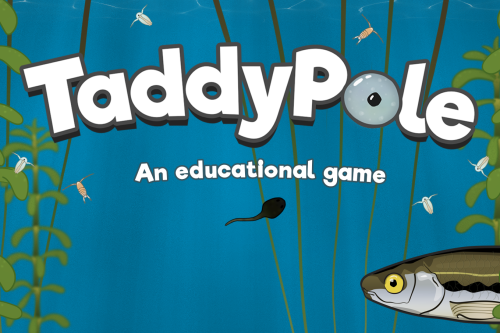 TaddyPole is an interactive, cross-platform application created for Tadpoles.org.uk to help teach children all about tadpoles and where they live. The app was created as part of the second year software project engineering unit in collaboration with Professor Alan Roberts of the School of Biological Sciences. Under the team name Winter Is Compiling, four students, Hal Jones, Bhavish Jogeeah, Matthew Plumeridge and Alex Dalton from Bristol University’s Computer Science Department, worked for six months to design, implement and launch the app across mobile devices and produce an online version. Taddypole is also featured on a website built as part of a Biotechnology & Biological Sciences Research Council (BBSRC) research grant awarded to biological scientists Dr. Steve Soffe and Professor Alan Roberts. Tadpoles.org.uk aims to inform a wider audience about tadpole biology and explain how Bristol’s cutting-edge research on tadpoles can help scientists understand how nervous systems control movements such as swimming. Your ‘umble scribe has today received an email from Kurt James, Neighbourhood Partnership Co-ordinator at Bristol City Council, announcing an event next month in east Bristol. Bristol Libraries is organising a free (as in beer. Ed. 😀 ) digital skills workshop next month in collaboration with the Ashton, Easton and Lawrence Hill Neighbourhood Partnership and local volunteers to help local residents who haven’t already done so get online. 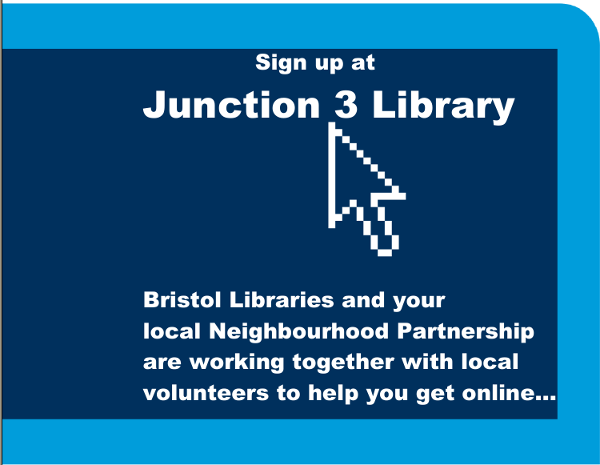 The event will be held at Junction 3 Library, Baptist Mills Court, Easton, Bristol, BS5 0FJ (map). The date and time: Tuesday 11th October, 1.30 p.m. – 3.30 p.m.
Those interested can book a space at the workshop by contacting the library by telephoning 0117 9223001. Call that number too if you want more information on the workshop. A Bristol academic is to chair a major augmented reality conference, the University of Bristol reports. 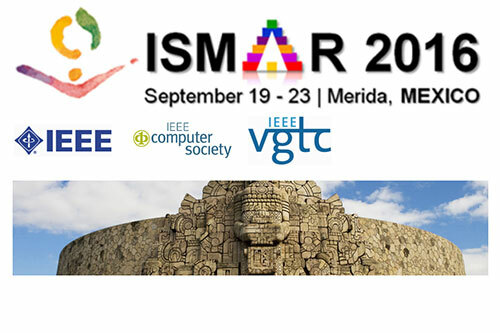 Professor Walterio Mayol-Cuevas of Bristol University’s Department of Computer Science is to chair the 2016 ISMAR conference, the most prominent academic conference on augmented and mixed reality, which is being held from 19th-23rd September in Mérida, Mexico. Augmented and mixed reality are part of a continuum ranging from purely virtual worlds to the mixing of real objects and scenes with virtual information. At its centre are core problems such as spatial mapping, visualisation and mobile hardware architectures, as well as the human factors of perception and usability. ISMAR, which is sponsored by the Institute of Electrical and Electronics Engineers (IEEE), attracts hundreds of participants from academia and industry. It has been fundamental in the development of technologies that have had an effect in other areas, including real-time Visual Simultaneous Localisation and Mapping (VSLAM) which enables spatial representations of the surroundings and allows virtual information to be put in context immediately. Real-time VSLAM has had applications in areas such as robotics and is now an established area in computer vision. Professor Mayol-Cuevas’ work with colleagues on VSLAM has been showcased at ISMAR since 2003. His areas of research comprise robotics, computer vision and wearable computing. As part of the strategy to create a single European digital market, the European Commission is preparing to invest €120 mn. to promote access to wireless connectivity in public places under the heading of Wifi4EU. According to Le Monde Informatique, this could see up to 6,000 publicly accessible wifi access points deployed, whilst the Commission’s factsheet (PDF) reveals that the upper limit for deployments is 8,000 and the hardware provided will enable 40-50 million connections per day. 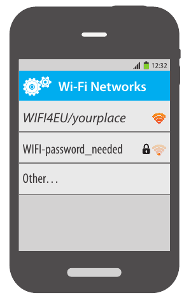 Wifi4EU access points aim to benefit both EU citizens and visitors to the Member States. with a public mission. The EU will fund the equipment and installation costs with vouchers, whilst public bodies will be responsible for paying the monthly subscription costs and keep the equipment in good order. These bodies will be able take advantage of the access points to develop and promote their own new digital services, such as e-government, e-health or e-tourism. 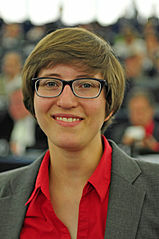 Local communities will need to show that they commit to providing very high speed internet via Wifi4EU and show under state aid rules that they are not competing with a similar, existing private or public wifi provision since the initiative will help cover areas which otherwise would not offer such connectivity. Furthermore, these free wifi hotspots are not the only levers of the Commission’s plan to increase the number of Europeans connected to the internet. In its project to reform telecommunications regulations, it is also planning to make high speed internet access a universal service obligation for telecommunications providers. It will be up to the governments of the Member States to ensure that people on low incomes or with special needs can access these services, perhaps by offering vouchers to cover the cost or requiring providers to give them a special rate. The Wifi4EU scheme is intended to run until 2019. Will Brexit vote hamper UK’s inclusion? The European Commission’s office in London has been approached asking whether public bodies in the UK will be eligible to apply for this scheme in the wake of all the uncertainty following the UK’s advisory vote to leave the EU in the recent referendum. Any response will be published when it is received. Update:The following reply to our queries about Wifi4EU and the definition of what constitutes a “public mission” has been received. This initiative is a proposal for legislation, which has to go through the EU decision-making process before any funding/projects can be launched. It is not possible to say how long the process will take to formally adopt this initiative. As long as the UK remains a Member State of the EU eligibility to participate in EU programmes should remain possible. Support of this kind should encourage entities with a public mission such as public authorities and providers of public services to offer free local wireless connectivity as an ancillary service to their public mission…. Billed as “Europe’s biggest event for the leading third sector CRM“, it’s now less than a month until CiviCRM’s Civicon 2016 in London, which is being held on 6th and 7th October. CiviCRM is the leading open source CRM for the voluntary and community sectors. CiviCon is now in its sixth year and the event is going from strength to strength as the community around it grows and finds new ways to help raise funds, communicate and manage organisations. Alongside this year’s conference, the organisers are also arranging training sessions and a code sprint. CiviCon, the training and the sprint are designed to welcome new people to the community, to bring them together to share, learn and work. The conference itself will run from Thursday 6th October to Friday 7th October 2016, the training from Tuesday 4th October to Wednesday 5th October 2016 and the code sprint from Monday 10th October to Friday 14th October 2016 and registration is required. The conference venue is Resource for London at 356 Holloway Road, London N7 6PA (map). Finally, here’s some feedback from last year’s conference. Pirate Party MEP Julia Reda ended this year’s QtCon, free software community conference with a keynote speech on, inter alia, free software in the European public sector. 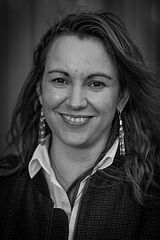 Ms Reda explained how proprietary software has often left regulators in the dark, becoming a liability for (and often a threat to) citizens’ health and well-being. As an example Ms Red cited the recent Dieselgate scandal, in which motor manufacturers installed software that cheated instruments that measured emissions of pollutants in test environments, only to spew illegal amounts of toxic substances into the air when they were on the road. the problem as they did not have access to the code. A further cause for concern is the threat posed to democracy by software with restrictive licences. The trend of replacing traditional voting ballots with voting machines is especially worrying, because, as these machines are not considered a threat to national security, their software also goes unaudited and cannot be audited in most instances. Ms Reda remarked that although voting machines are built and programmed by private companies, they are commissioned by public bodies and bought with public money. However, there are no universal EU regulations that force companies, or, indeed, public organisations, to make the source code available to the citizens that have paid for it. 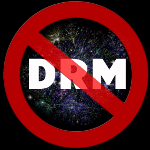 advocating that all software commissioned by public entities and paid with public money, be made available to all under free/libre licences. She also noted that it is essential to get governments to see the merits of free software to get them on side. This afternoon, our members Nigel Legg and Benedict Gaster turned up at the lab with the piece of hardware shown below that’s going to be tested on the Bristol Wireless network. 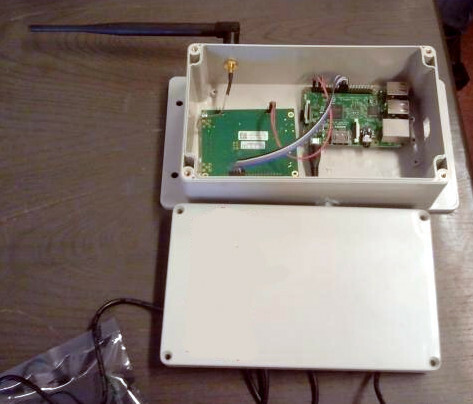 It’s an IoT gateway configured under LoRaWAN, a Low Power Wide Area Network (LPWAN) specification, that’s fully open source. Not only is it open source, but Benedict built it at home from components that are easily available and not at all expensive. Once it’s up and running, the gateway will connect to the Things Network. It’s believed that by deploying this gateway, we’ve actually beaten the top-down, proprietary approach adopted by Bristol is Open (news passim) in having the first working IoT gateway in Bristol (if we’re wrong, let us know in the comments below. Ed.). The boys have now returned from the top of a tower block and informed your ‘umble scribe the gateway is working. Web Africa reports that Uganda’s ICT Ministry has recently developed a free and open source software (FOSS) policy. The aim of the policy is to regulate the deployment of open source software and use of open standards to accelerate innovation and develop local content. Free and open software services will help my ministry to innovate better because it forms the platform (for) many of the innovative ideas. Free and open source software in Uganda is certainly something we have been talking about and I am sure we will do so even more in the next few days. Some of the things Uganda has put in place to harness the benefit from free and open source software include a Software Strategy and Policy in accordance with the United Nations Conference on Trade & Development’s (UNCTAD) Trade, Services and Development expert meeting’s determination that free and open source software is an inseparable component of the global technology ecosystem. The Minister also remarked that FOSS also presents an opportunity to develop the software industry in Uganda, which is in its infancy. Furthermore, FOSS was recognised earlier this week for its contribution to innovation at the 7th African Conference on Free & Open Source Software held in Kampala with the theme of “Open Source Solutions for Open Government & Open Data in Africa”. The conference attracted over 500 delegates from academia, policy makers, software developers, innovators, open source activists, researchers, investors and ICT practitioners from all over the African continent and other parts of the world. Twenty-five years ago today, 25th August, an unknown Finnish computer science student called Linus Torvalds wrote the following email to the comp.os.minix mailing list. Today Linus Torvalds is somewhat better known, having won a raft of awards, and works as a software develope. However, Linus is still involved with developing a free operating system and is the chief maintainer of its kernel. That free operating system has come to be known in full as GNU/Linux and just Linux by most people. GNU/Linux is available in hundreds – if not more – distinct variants which are running everything from supercomputers and web servers to desktop machines and small devices running on embedded systems.